“This small bespeckled man was always looked upon in the parliament” – so says Clyde Cameron – “as the greatest debater the Parliament of South Australia had ever seen”. Clyde (a cabinet minister in the glory days of the Whitlam government) also makes the claim “that Craigie really was a very great figure – I think really the greatest man of this [20th] century, and it is a tragedy that he was not given the opportunity to play a more important role in the politics of our country”. Edward John Craigie was born into humble circumstances in Moonta in rural South Australia, the son of a Scottish miner, starting work at 11 years old. He did clerical work for a wheat miller and subsequently spent the greater portion of his life in the baking trade. Returning to Moonta in 1904, Craigie joined the United Labor Party (the predecessor of the Australian Labor Party) with the aim of incorporating single tax theory as party policy and worked as a political journalist for local papers. From 1905 to 1911 he was a Moonta councillor and successfully introduced a single tax system throughout the council area, believing this to be the first step towards the nationwide institution of a tax on unimproved land values. Considering his work done in Moonta, Craigie resigned from the council and the Labor Party in 1911 to serve as Secretary of the Henry George League of South Australia and form the Single Tax League in order to contest elections and gain support for single tax theory. From 1921 he served as editor of the League’s newspaper, the People’s Advocate as well as being a prolific pamphleteer who contributed to the Australian movement an invaluable armoury of dialectical weapons. Craigie achieved electoral success in 1930 in the South Australian House of Assembly Electoral district of Flinders, which covered the west coast of South Australia, the great geoist stronghold in Australia. 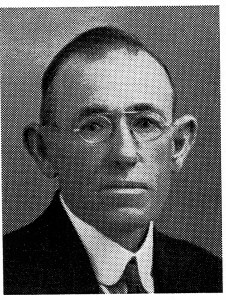 Craigie was re-elected to Flinders in 1933 and 1938, the latter as one of 15 independents in a House of 39 members. Fellow independent Tom Stott attempted to form an independent led government with himself as Premier but Craigie refused to support anyone who did not wish to see single tax theory instituted. In the 1941 federal election, Labor and the Liberals conspired to put aside their differences to exchange their preferences to defeat Craigie, even though he topped the poll on the first preferences. Such dirty dealings were to be repeated when the leader of the Australian Democrats, Senator Janine Haines, publicly espoused geoist principles as candidate for the House of Representatives seat of Kingston in the 1990 federal elections – she would have also won had not Labor and the Liberals then conspired. Craigie held many important geoist offices. In 1939 he became president of the International Union For Land Value Taxation, and remained as the secretary of the Single Tax League of South Australia as well as being a trustee for the Henry George Foundation of Australia. He took an active part in most of the rating reform campaigns in South Australia and the fact that more than one-third of the South Australian municipal councils switched over to site-value rating is an eloquent tribute to the effectiveness of his efforts. We’ve won such victories before, and so we shall again.